This book is a detailed demolition job. Edwin Black explores in great detail, with solid evidence what IBM, one of the largest, wealthiest and most important multinationals did during World War II. As such, the book also tells us something about the priorities of business. Edwin Black argues that IBM's desire to maximise profits and in particular, the instincts and priorities of Thomas Watson, its chairman directly contributed to the Holocaust. 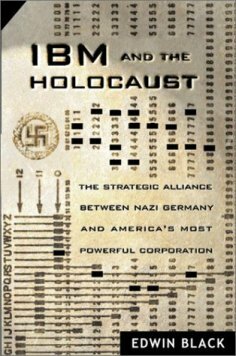 IBM Germany, or Dehomag as it was known during the Hitler era, was run by "openly rabid Nazis" and IBM New York "always understood - from the outset in 1933 - that it was courting and doing business with the upper echelon of the Nazi Party". Thomas Watson could not claim to be unaware of what was happening in Germany. Edwin Black uses the New York Times to illustrate exactly what was being reported about events in Germany following Hitler's election and occupied countries after the beginning of the war. He chooses this newspaper because it was the major newspaper of the city in which Watson lived and worked, and the city from where he frequently travelled to Germany, or sent representatives, to micro-manage IBM's business. Black begins his story with the background to IBM and the key individuals who founded the business. Their ruthless business instincts make for fascinating reading, particularly in the light of later events. 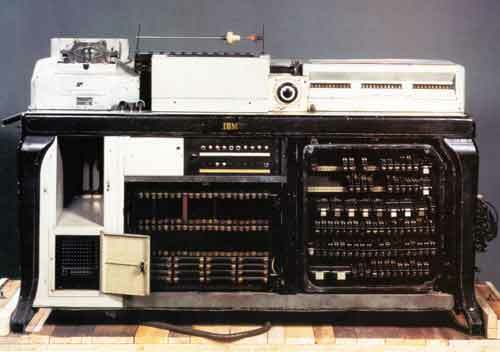 IBM's business and its fortune were based on mechanical counting and sorting machines. These machines, constantly being innovated and jealously guarded by patent, used punched cards to store data. IBM had sold these machines to the US government for use in censuses. For the first time detailed information could be stored and analysed, without laborious human work. With their introduction it was possible for the government to count the number of people with particular skills, or in age-groups or match up groups of people to almost any desire. Work that would previously have taken months now took hours. The success of the machines in the US census quickly meant that IBM could sell the technology to other governments and organisations. Soon, most of the capitalist world was using IBM technology to guide trains, count people or sort information. Edwin Black details the rise of Hitler and Nazi Germany. He spends time dwelling on some of Hitler's plans and ideas. This is more than a simple rehash of history, Black is demonstrating as much as possible, the type of government that IBM was prepared to do business with. Anyone who sold counting machines to Hitler's Germany for censuses, and used their technical expertise to detail and prepare the punch cards required, could not have helped but know to what use they would be put to. IBM kept a monopoly on the manufacture and sale of the punch cards, essential to the work of the sorting machines. They did this for two reasons, one so they could continue to make profits from the machines once they had been leased and secondly to protect their monopoly of the business. IBM made themselves essential to Hitler's Germany and what they did. That is not to say that IBM only did business with Fascist regimes, though their particular need to identify groups of individuals meant they were in high demand. IBM also sold machines to Allied governments. At one point IBM machines were being used to store information on movements of military equipment for both sides. IBM technology was used to decode Germany military messages at Bletchley Park. It was also used by the German's to encode them prior to transmission. As the German's invaded Poland, Czechoslovakia and France the machines were captured and put to use by the Nazis. IBM made sure that its company was kept up to date with the location of all the leased machines, understanding that its interests would be protected as a company from a country that was not yet involved. As the years passed since Hitler's coming to power, popular opinion in the US turned heavily against the Nazis. As each story of atrocity emerged, more and more people and companies joined a boycott of Germany business. This boycott bit hard into the German economy. Thomas Watson became a central figure in arguing against the boycott. He was Germany's business man in the US. Free Trade to bring the world closer together and prevent war was his mantra. So pleased were his friends in Berlin that they gave him a medal at a glittering ceremony and party in the capital. Watson ensured that few in the US knew IBM's business links and Watson's relished his role as unofficial ambassador. A Hollerith machine, as used by the Nazi regime. Note the IBM logo. The Holocaust needed IBM punch cards. When the SS arrived in a town and produced a list of Jews they wanted, the names were sorted on the basis of data organised using IBM equipment. When those Jews were packed into cattle cars and taken to concentration camps, the trains ran to a timetable organised using IBM equipment. When the Jews were selected for forced labour, their skills and experiences were listed on cards. And when they were killed or sent to their deaths, the punch cards were marked to list their deaths. In Dachau, prisoners understood that the removal of the cards meant those individuals had been selected to die. The Holocaust would have happened without IBM. 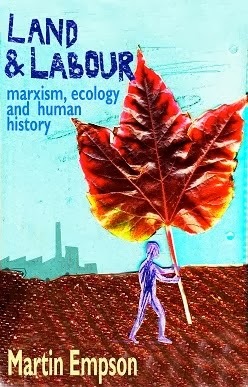 But the business of mechanised slaughter and forced labour, as well as the ability to wage war was facilitated by IBM. The outbreak of war with the US meant that IBM's German operations were separated from New York, but Watson could rest easy, knowing that his interests, and the company's were protected for future peacetime. To make sure that IBM did not lose out, Watson created a group of soldiers from drafted IBM personnel. These men visited company premises with the advancing armies, securing IBM equipment. When IBM's involvement was exposed, the US civil servant who broke the news to his government was eventually told to keep it quiet. The US government wanted to make sure that they could have access to IBM's particular skills after the war, to make Europe work again. The importance of IBM's equipment and the assistance that they offered to Nazi Germany in the years before the US entered World War II cannot be under-estimated. Edwin Black documents that in Norway, the resistance tried to destroy the sister company there with bombs (the company was called Watson Norsk) to stop the Nazis using the information to organise slave workers. Watson Norsk's "longtime manager", Tellefson ensured that information had been stored off-site in anticipation of such an attack, which "allowed IBM's lucrative service to continue. In Norway, annual revenues doubled from 161,000 crowns in 1940 to 334,000 crowns in 1943." In 1941, Watson "set the stage for IBM Europe's wartime conduct". 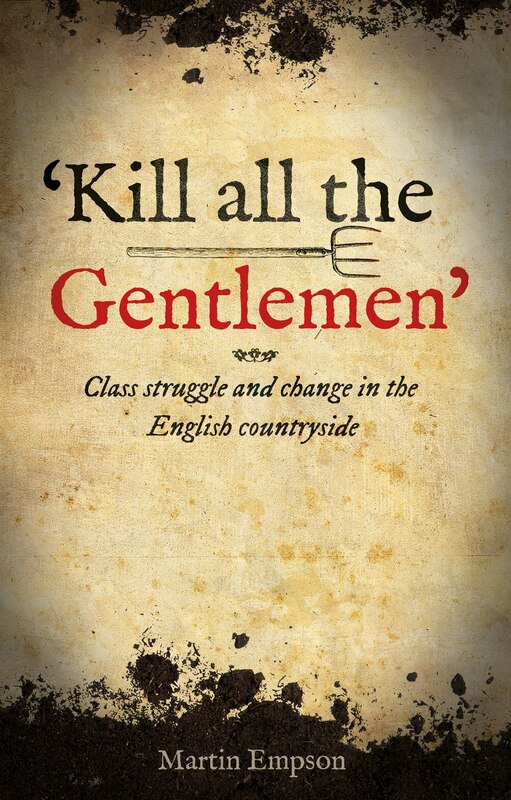 In instructions he wrote and sent out, he said that because of the war, "we cannot participate in the affairs of our companies... as we did in normal times... you are advised that you will have to make your own decisions and not call on us for any advice or assistance". As Edwin Black points out, this instruction did not tell them to stop working with the Hitler regime, or stop selling punch cards to the concentration camps, only to stop telling the New York office what was happening. The centrality of IBM to the Holocaust is summed up by the one small positive story that exists in the book. This concerns an individual who deserves to be known as a hero to all of us today. Rene Carmille was a French military technologist who offered to take charge of the IBM machines to process the census returns. However the anticipated lists of Jews never materialised. Instead, when the invasion of Algeria began, the US forces had a ready list of Frenchmen able to join the Free French forces. The section of the punch cards "column 11" which asked for Jewish identity was never filled in. Carmille was a double agent for the French resistance. He produced 20,000 fake identity passes and a database of 800,000 former French soldiers, but he never produced a list of Jews for the SS. Carmille was finally arrested in 1944 and tortured by the infamous Klaus Barbie. He never talked and eventually died in Dachau in early 1945. His personal contribution to blocking the production of the lists, illustrates the importance of IBM and the role of individuals who worked for it. The Author contrasts France with Holland were in a similar situation, IBM equipment was used to create a database of Jews and send them to concentration camps. "Of an estimated 140,000 Dutch Jews.... 102,000 were murdered - a death ration of approximately 73 percent. Of an estimated 300,000 to 350,000 Jews living in France... about 85,000 were deported... barely 3,000 survived. The death ration in France was approximately 25 percent." The destruction of the French Jews was made infinitely harder because of the lack of a working punch card system. Carmille and his mis-use of the IBM equipment played a central role in this. IBM has never come clean about its operations during World War II, nor those of its affiliates in Europe. Important documents remain locked in archives and historians are not allowed access. Edwin Black's own researches have been restricted and blocked by IBM. Black says that IBM seems to be "hoping the matter will simply go away." A careful reading of Black's book has left me in no doubt that members of IBM's senior management during the 1930s and the early 1940s were well aware that their equipment was being used in Germany, and had detailed knowledge of the type of work that was being done with it. 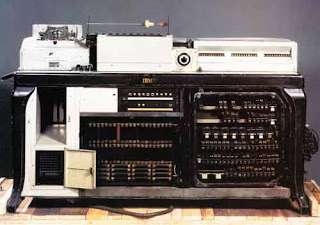 By continuing to produce punch cards for that market, training individuals in Germany and other European countries and offer maintenance contracts, IBM made enormous profits. IBM should come clean about this role and open up their archives for scrutiny by Holocaust experts. However we should be clear about one thing. Thomas Watson was not a Nazi. Nor is it likely that any others in IBM New York's senior management were pro-Hitler. Nor was Watson particularly anti-Semitic. Indeed several of his close friends were Jewish and some, in Germany suffered under the regime, as did a number of Jewish employees of IBM in Germany. The logic driving IBM's involvement with Germany and the particular work that they did was the logic of capitalist business. Watson was particularly unprincipled in this, but nobody else in the organisation criticised the source of the money flowing into the bank. IBM found itself in a unique position and its senior staff drove home this advantage. Fascism in power has close links with big business. 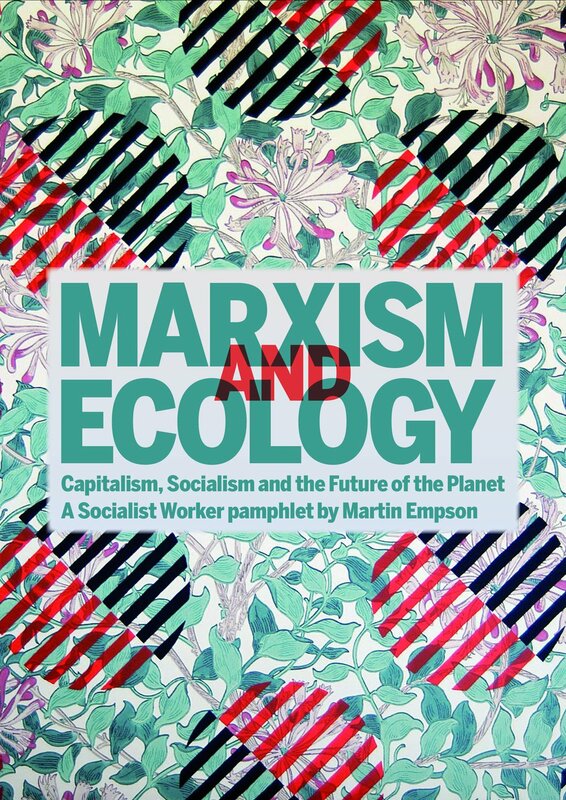 Despite its appeal to the small businessman and the middle classes, Hitler's movement was about ensuring the continuation of the capitalist system. Hitler courted and was courted by businessmen from across the world. IBM and Thomas Watson were just one example. They were able to profit out of that relationship in spectacular ways and they should be held to account for it.